The São Paulo State Governor Geraldo Alkimin, declared yesterday (August 30), the opening date of the brand new subway stations: República and Luz. 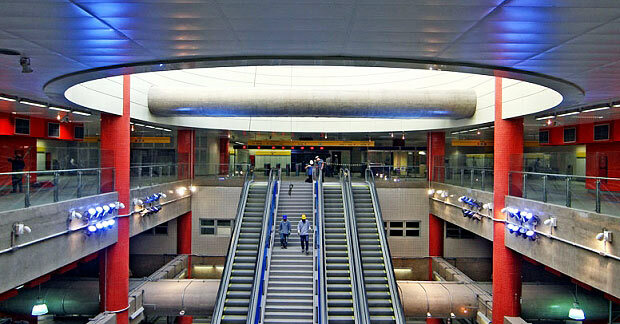 These two brand new stations will be inaugurated on 15th September. The governor says the new stations are updated and do not require a train operator. That is a characteristic of the yellow line trains. 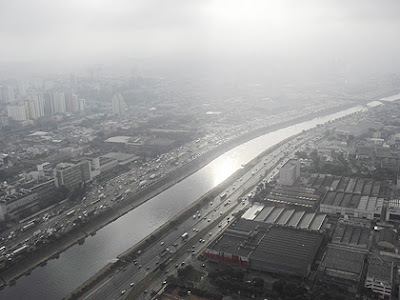 Besides the inauguration, according to Alckmin, the government's goal is to deliver in four years, about 30 km of subway lines, or about 7.5 km every year, to benefit about 4.5 million passengers / day who currently use its transport every single day (currently has 70.5 kilometers in length). 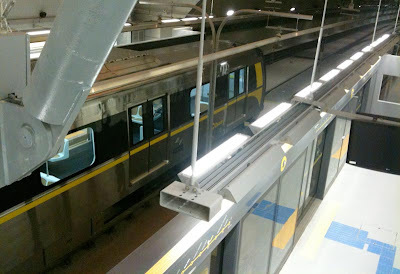 Yellow metro Line will be charged starting from today! There are 90 posters published in the USA. "No cigarette hangover." used to say the Phillip Morris Slogan. 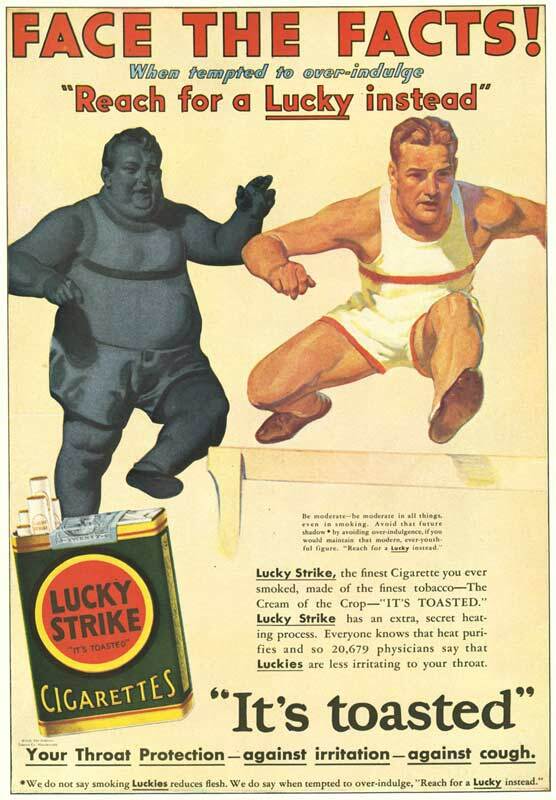 During the golden times of the cigarette industries, everything was allowed to convince people to smoke. The exhibition entitled “Propagandas de Cigarro – Como a Indústria do Fumo Enganou as Pessoas” (Cigarette Advertisements - How the tobacco industry deceived the people) aims to tell through advertising images and slogans, the story of how tobacco companies used to reassure the public of the "safety" of their products (between the late 1920s and the early 1950s). When: August 29 to October 14, Tuesday to Saturday, from 10 am till 10 pm; Sunday, from 10 am till 9 pm. The Hotel Novotel Sao Paulo Ibirapuera is located next to Ibirapuera Park, near to important museums such as OCA, MAM and the Bienal; inside the largest park in São Paulo. 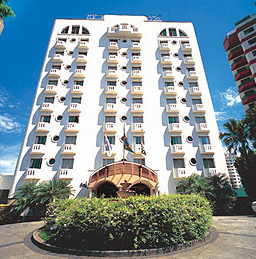 The Novotel is also close to Congonhas Airport and quite near to the Avenida Paulista (financial and business center). Great location for both business and leisure. If you are here for business, there are two meeting rooms for conferences and Wi-Fi. For leisure, two tennis courts, a fitness center, a restaurant, a bar and a parking garage. 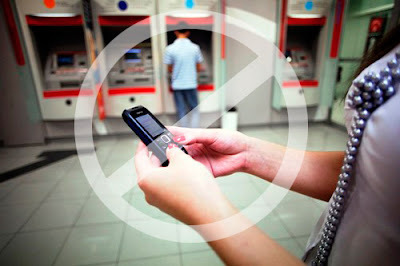 The mayor of Sao Paulo, Gilberto Kassab, signed legislation banning cell phone use in banks and at ATMs in the city. This law was signed on August 26, 2011 and is now official. However, this law has not yet taken effect, because the banks still have to adapt to the new rules. The main goal of the new law is to reduce the occurrence of muggings against customers as soon as they leave the bank. According to the official information, it will be illegal to make and receive calls. Not even text messages will be allowed. 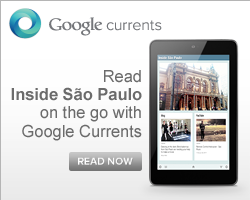 This prohibition is already law in two other cities in São Paulo State (Campinas and Franca). This is not a state law. 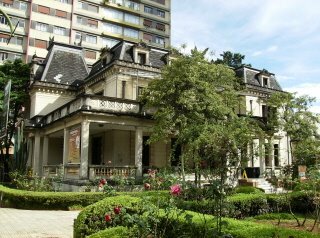 Casa das Rosas is a mansion at Paulista Avenue. It was designed by Ramos de Azevedo for one of his daughters. The name, "House of the Roses," was inspired by the big rose garden, which was inspired on the Palace of Versailles. The building came under government control in 1986. In 2004 the house became the "Espaço Haroldo de Campos de Poesia e Literatura," and received the complete collection of books and some personal belongings of the poet. The house also features cultural programming, including courses and periodic exhibitions related to literature. The first Brazilian library focused in poetry is housed there, plus a bookstore Imprensa Oficial do Estado de São Paulo, which sells only books published by university presses. Go visit when you have a chance! When: Tuesday and Thursday, from 2 pm till 6 pm. Wednesday, from 10 am till 4 pm. The traditional Festa de Nossa Senhora de Achiropita 2011 (Feast of Saint Achiropita) will happen on the suburb of Bixiga this weekend and also on the next. The 85th edition of this famous Italian party has started on August 6th and will end on September 4th. This event happens every year on the streets 13 de Maio, São Vicente e Dr. Luiz Barreto (outside area), where is possible to find tents, fogazzas, fricazzas, pasta, polenta and other Italian dishes. The advice is to arrive around 10 pm because it's very crowd around 8 pm. It's a traditional Italian party is organized by the Italian descendants and it's opened for everyone. Old Italian ladies lead the cuisine and prepare recipes to be served on a large tables. The whole festival happens on the street. The income will reverted to charity centers such as the Casa Dom Orione, the Nursery and Mother Achiropita MOVA. 250 thousand people are expected to the event. When: Every Saturday and Sunday. Saturday starts at 6 pm and on Sunday starts at 5h30pm. How much: For free on the street. The Rua 25 de Março is one of the busiest outdoor shopping centers for retailers and wholesalers in Latin America. The main draw is the low prices of the products. 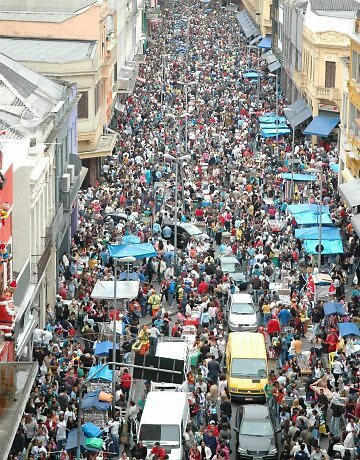 Rua 25 de Março hosts more than three thousand stores as well hundreds of stalls along the sidewalks. Here you can find anything you might be looking for - hair brushes, slippers, flip-flops, electric massagers. Most of the products have been manufactured in Brazil or China. In addition to the many small stores there are shopping malls and galleries, including the famous Galeria Pagé and the Shopping 25 de Março. The area is very crowded and known for pickpocketing. When visiting this street, be sure to stay aware of your belongings. 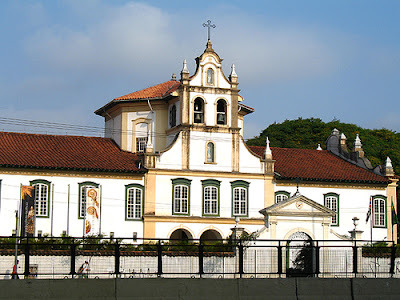 The Museu de Arte Sacra de São Paulo (Sacred Art Museum of Sao Paulo) is a leading Brazilian institution that studies, preserves and exhibits objects of religious art. It is located on the left wing of the Monastery of Light in the Luz neighborhood. Funded through an agreement between the State Government and the Archdiocese of São Paulo, the museum was founded in 1970. It houses one of the most important collections of Brazilian sacred art, collected by the Archdiocese during the 20th century with parts from old churches across the country. This collection contains works of Brazilian and foreign artists produced since the 16th century, with special emphasis on the imagery of the colonial period and several works by important artists such as: Aleijadinho, Frei Agostinho da Piedade, Frei Agostinho de Jesus, Mestre Valentim, Mestre Athayde, Almeida Junior and Benedito Calixto. The punk rock group Bad Religion performs at Via Funchal (west region of São Paulo) on October 13. Ticket prices range from R$ 140 to R$ 200. It's possible to buy tickets via www.viafunchal.com.br. The group of Los Angeles (USA) was formed in 1980 and their references come from Ramones, Clash, Beach Boys and Elvis Costello. 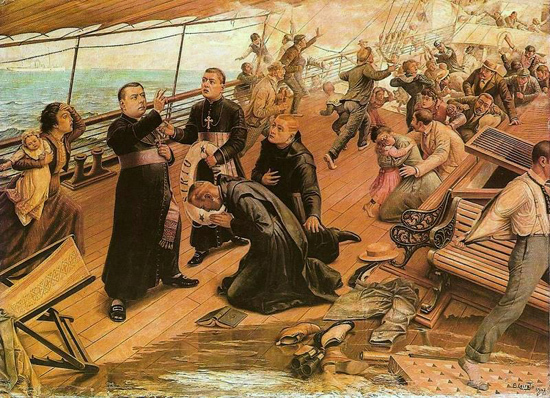 They bring in the repertoire hits like American Jesus, Infected and Los Angelesis Burning. Bad religion brings the tour "The Dissent Of Man" to Sao Paulo on October 13; Brasilia on October 14 and Rio on October 15. When: October 13th, at 10 pm. 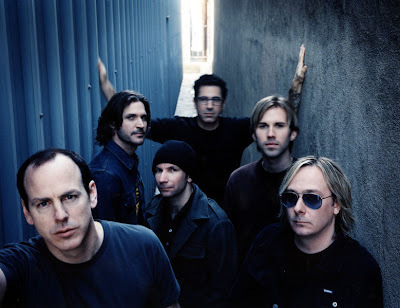 Bad Religion - "Wrong Way Kids" from Bad Religion on Vimeo. Today, the city council decreed that all cabs of the city of São Paulo will have a brand new visual identity. The Department of Public Transport (DPT) conducted technical studies to create the new identity, in order to facilitate the visualization of taxis. The cars will have to have a black and yellow strip (ten centimeters tall), on both sides, front and rear. They should also highlight the identification of the Taxi. From now on, brand new cars are required to present the new visual identity to begin to work. 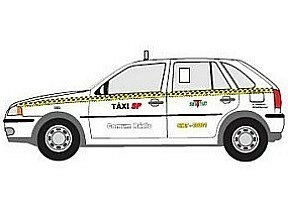 The older cars will adopt the new look gradually, as soon as the taxi-drivers change their cars. 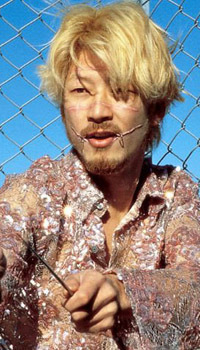 The Japanese director Takashi Miike is known to arouse strange feelings. In addition to extravagant and controversial, his films are composed of bloody scenes and full of violence, which makes Tarantino one of his fans. If you like the style, do not miss the retrospective of the artist at CCBB. For the first time in the country, the show will feature the 20 most outstanding films of his career and on August 27, Cinemark Shopping Santa Cruz, will display the drama Ichimei in 3D, and straight after, Takashi will talk to the audience via Skype. The debate will be at least curious. O Pastel da Maria, confirmed its favoritism and received for the second time the 3rd contest of the best Pastel of São Paulo. Maria won the R$ 8000 prize sponsored by the city amoung more than 800 stalls enrolled in 2011. The was received by Maria Kuniko, the owner of the tent of pastel winner of the contest Melhor Pastel 2011 (Best Pastel of Sao Paulo). 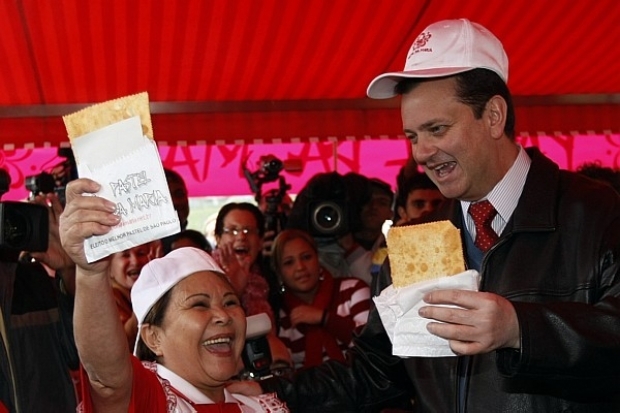 The selection criterias were: cleanliness, service and, of course, the pastel de carne (meat), the most popular among customers. 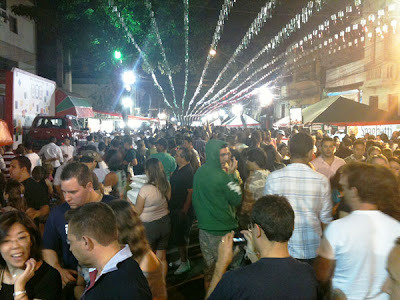 Rua Fradique Coutinho, 580 - Pinheiros - Monday to Friday, from 11 am till 8 pm; Saturday and holidays, from 11 am till 6 pm. 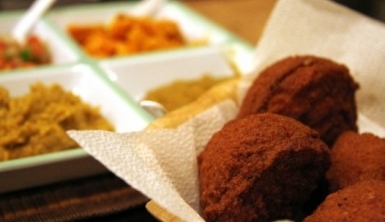 Rua Valdemar Martins, 204 - Casa Verde - Monday to Friday, from 11 am till 9 pm; Saturday and holidays, from 11 am till 6 pm. 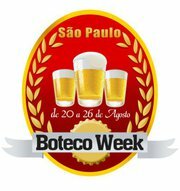 Sao Paulo Boteco Week starts today. Great pubs and good value for money! 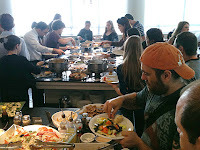 That is something new in Sao Paulo, it is the first time that a group of "boteco" (bar) organize a special week based on the experience of the famous restaurant week. 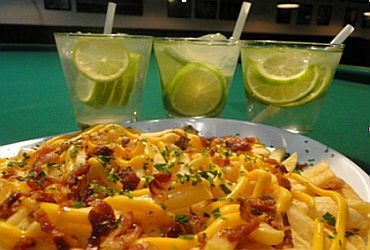 It basically works like that: for R$ 25 you can choose one of the combo of drink and food offered by the boteco. 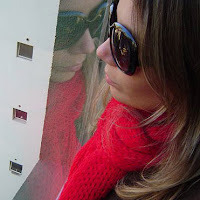 My name is Isabel Campos, I am a journalist working in São Paulo and, as part of my job, I fly every day above an estimated fleet of 7 million cars. 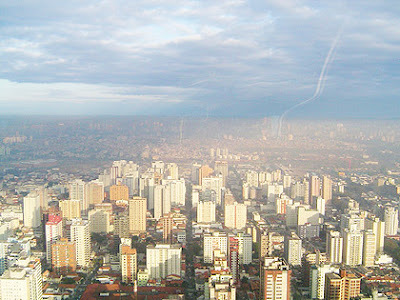 From the top I can see a city that does not stop growing. On one side the luxury real estate boom, on the other the arid suburbs. 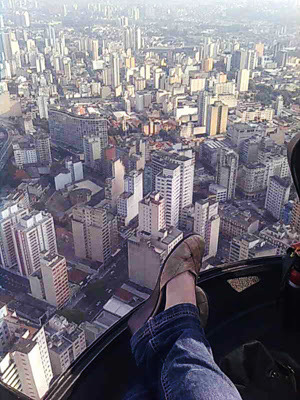 It is a privilege to see Sao Paulo from the top of an helicopter. Sao Paulo thrills me when I overflight places like Avenida Paulista, the Sé Cathedral, the Copan building, Teatro Municipal or the beautiful São Paulo Golf Club on the south area of São Paulo. The Reservoir of Guarapiranga and also Billings Reservoir are real oasis located at the southern limit of the city, near the coast. Flying by night is also incredible. You can see the light show and the size is breathtaking! 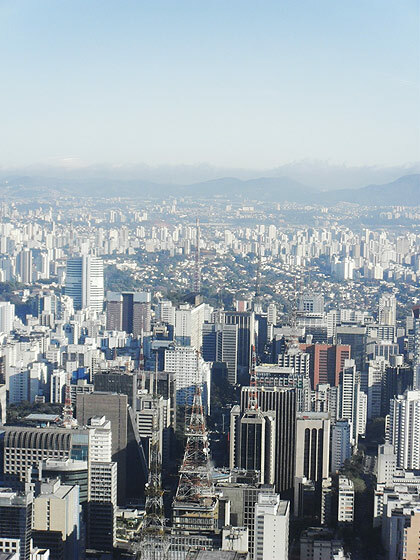 Sao Paulo from the top of an helicopter is a privilege. Every morning I have the privilege of flying over the city I love. Duty: Reporter at Rádio Estadão ESPN speaking from an helicopter about traffic jam. When: every single morning during the week, from 7h30am till 8h30am (GMT -3). Click here to listen the Radio. Curiosity: Isabel also works at www.10e20.com.br addressing voice over videos. Check out some of them. The Pearl Jam will have a second presentation in São Paulo. Besides the concert set on November 4 (sold out), the band led by Eddie Vedder will be also on stage on November 3rd. Sales begin on August 25th. The band comes to Brazil bringing a concert to celebrate the 20-year career. When: November 3rd and 4th (sold out). Sales begin on August 25th. Price: From R$ 190 to R$ 380. Half-price for students. As is tradition, August is the month of Feira da Vila Madalena. 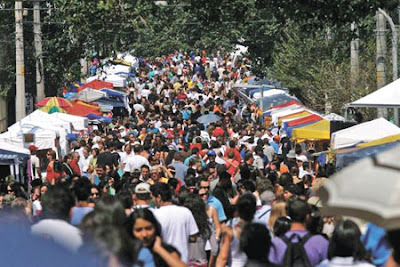 On August 21, starting at 9:00am, the 34th annual Feira da Vila Madalena will take place, an event that occupies the main streets of one of the most artistic and cultural neighborhoods in the city. The project will be held between the streets Wisard and Fradique Coutinho. About 500 exhibitors will offer crafts, food, sculptures, paintings and fashion to the public. In addition, there will be a bike ride sponsored by the local group "Pedal da Vila Madalena." The street Mourato Coelho will host a pool table, basketball games, soccer games, and skateboarding activities. This is a great event to attend. It's a good place to do some shopping, be environmentally responsible (ride your bike there!!) 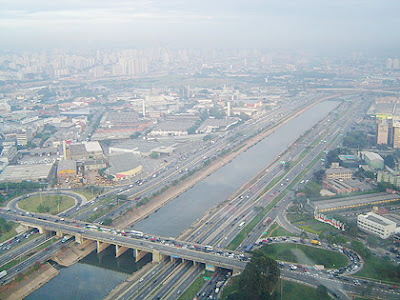 and enjoy a nice neighborhood of Sao Paulo. 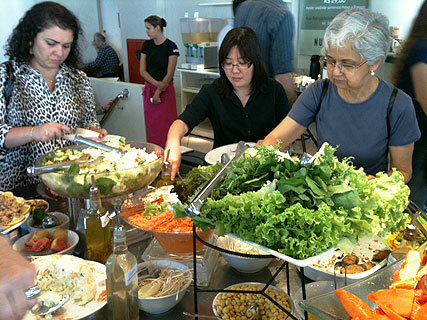 Nutrisom is a great option for natural food in downtown Sao Paulo (Centro). Great value for your money! Opened in 1980, the restaurant Nutrisom is the ideal choice for a healthy lunch in downtown Sao Paulo. It's a great bang for your buck! The restaurant is clean, relaxed, and follows a lacto-egg-vegetarian menu (eggs, dairy products, fruits and vegetables) with a wide variety of salads. All food is fresh and well prepared. 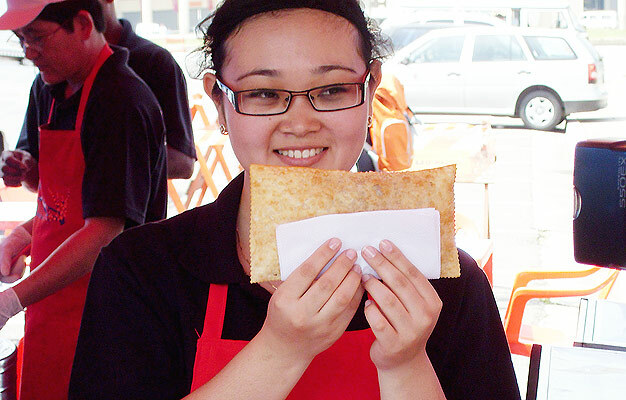 You can find hot pies, risotto, soufflés, snacks, soups and many other options every day. The flavor of the fresh food is very strong, and it's a refreshing clash with the metal and highrise buildings of downtown. The restaurant offers two options of natural juices and dessert each day, and the desserts sometimes include homemade ice cream. Frequented by local workers and businessmen, you will find plenty of people well dressed and in suits. Avoid going between noon and 1 pm. It is difficult to find a table. When: Monday to Friday, from 11am till 3:15pm. Sunday, from 11:30am till 4:30pm. An exhibit called Inside Out / Outside In (De Dentro e De Fora) will run in the MASP museum and surrounding area until December 23 of this year. It brings to Brazil some of the most important names in global urban art, including artists from the United States, Argentina, the Czech Republic and France. The initiative will use the MASP architecture as a basis for graffiti, photography, video, sculpture, painting, mural paintings, collages, and installations. Each artist will create site-specific works. The artists will also work on the outside area of the museum. The work is collaborative: each artist's work will be in direct dialogue with that of the others. The central idea of ​​Inside Out/ Outside In is to cause the audience to experience the feeling of not knowing where the art starts and where it ends. It may be everywhere: under the stairs, behind a frame or into a hole, both inside and outside the museum. A workshop entitled "Art, the museum and the city," about public art, urban art, creative economy and the future of the city. It will be held on September 21 in the Grand Auditorium of MASP. 12 classes on urban art, history and contemporary art from September 5 to October 3. 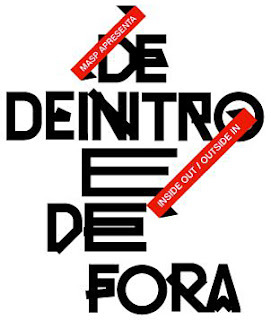 Festival of Urban Culture Videos, held once a month in the small auditorium of MASP. Roundtables on matters related to pop culture, such as graffiti, street art, skateboarding, tattoos and more. An interactive website that explores cutting-edge technologies and social networks. Visitors can participate from home, provide feedback, and communicate with other visitors through the site.